Sleeping in the shape of a flower for your dog or your cat. This new 6-sided shape offers optimal support and reassurance to your pet. A real gift that seduces animals and masters. 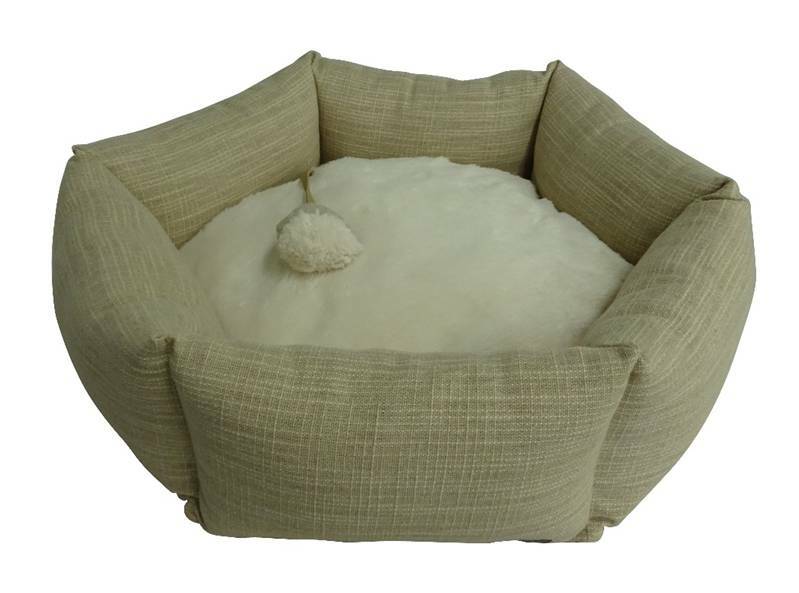 The cushion is soft and is reversible with a very soft fur side and a polyester side. A noisemaker is hanging on the bed. Very easy to clean, the pad is machine washed at 30 ° C.